Go Ape is all about getting out, having fun and being adventurous. That makes us a great option for stag do’s, hen do’s or just a great day out with the whole gang. Make it a full day in the forest. 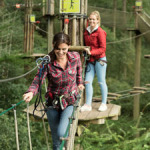 The classic and original Go Ape experience. 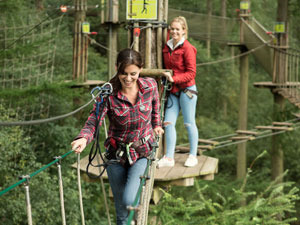 We’ll brief you for safety before you fly down our zip-wires, leap off our Tarzan Swing and tackle our obstacles whilst enjoying some of Britain’s most breathtaking scenery. Our courses are set in some of the country’s most spectacular forests, so why not challenge your tribe to discovering them from the ground. Helmets supplied too. Your tribe doesn’t need any musical ability to enjoy the intense rhythm of drumming bought to you from the heart of Africa, simply bond to the beats whilst being led by a professional facilitator. Get off the beaten track and Go Ape! Forest Segway – our epic new forest adventure with a down-to-earth twist.